I wanted to make a comment, but there was no place to make a comment; so I'm writing my open letter comment here. I want to discuss erythritol, a sugar alcohol that was not mentioned in the article; erythritol is technically a sugar alcohol. I hope that you will let your readers know that although erythritol is a sugar alcohol it is absorbed into the bloodstream in the small intestine, then most of it is excreted in the urine. Generally, erythritol does not enter the large intestine, which is where the problems that Magee wrote about happen. If you consume an extremely large dose in a short period of time, you could have ‘the problem.’ As I’m sure you are aware, last year well-researched Truvia and Purvia both were released by very large companies; both products contain erythritol. Because of the lack of the gastric distress problems, I developed an all-natural, zero-calorie sweetener, containing erythritol and other natural fruit extracts, for my husband, Victor to use to sweeten his diabetic life. My product does not contain stevia, like Truvia and Purvia. There are now hundreds of people using this sweetener (Dr. Grandma’s Delight) with no reported problems. Many have been using it for several years. All the fruit extracts in Dr. Grandma’s Delight are on the FDA GRAS List - just click on the link above and read more about Delight at the bottom of the page. It’s very nice for diabetics and those striving to cut back on sugar and other caloric sweeteners. 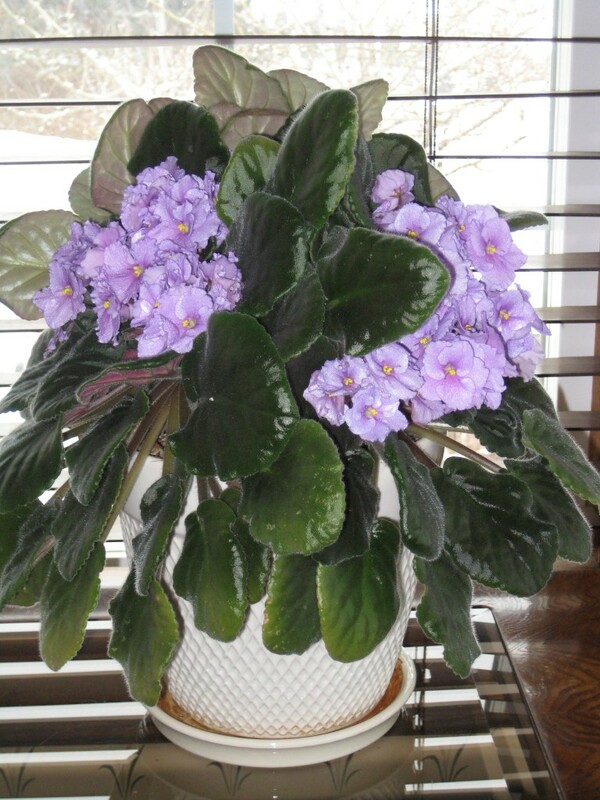 African violet doing a nice job, while waiting for spring.